Essential training for anyone seeking a Legal Secretary career in Ireland. Leading legal secretaries can command good salaries and interesting careers. 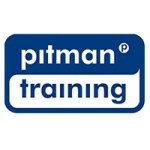 So choosing the right course from among the many legal secretary courses available is vital which is where the highly-respected Pitman Training name comes to your aid. Our Legal Secretarial Diploma (Irish Law) is the sign on your CV that you have gone through the very best of legal secretary training. Whats more, we can also provide alternatives with both Scottish Law and English Law versions of this Diploma. So if youre considering a move to the UK, you can be confident that wherever you work, youve chosen the very best training. This is the one legal secretarial course you can trust to turn you into an efficient and effective legal secretary. And our legal secretary diploma is suitable whether youre newly-experienced, or someone who has been in post for some while. Training is at the hands of very experienced advisors, either full-time or in a flexi-study pattern so you fit training around existing life and work commitments. And once your legal secretary diploma has been awarded, you will have the knowledge to gain that job youve always wanted. Carear Path With your Legal Secretarial Diploma you can be sure potential employers will be impressed. From here, if you're keen to progress your career further in the legal industry, why not look at qualifying as a Paralegal?